Hydraulic Pump Parts, Cylinder Kits and more! Hydraulic cylinders and cylinder seal kits are a specialty of Hydraulic-Connections! These powerful devices use hydraulic pressure to generate force that can be applied in countless ways. We carry many major brands such as Parker, Hanna, Ortman, and Starcyl. In addition, we are able to use information such as the bore size, stroke, rod diameter, and cylinder use to help you interchange older or hard-to-find cylinders. We will work with you to help you find a hydraulic cylinder that is perfect for your application. A hydraulic pump is the heart of your industrial operation. When you need a replacement pump or pump parts, trust Hydraulic-Connections to deliver. Hydraulic-Connections carries a full line of hydraulic pumps and hydraulic pump parts. If you are looking for a Vickers, Dennison, Rexroth, or other brands of hydraulic pumps, call us and we would be glad to help! We are often able to supply remanufactured versions of pumps that are no longer made. All Your Hydraulic Parts Needs! 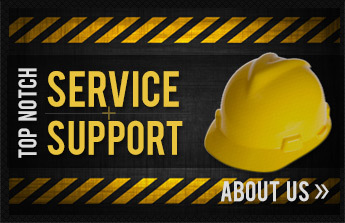 Hydraulic-Connections has been the leader in hydraulic parts and service for nearly 20 years! Our success has been based on our knowledgeable staff and dedication to excellent customer service. Please search our website using a part number or model number. Feel free to call or email us if you cannot find your item on the web. 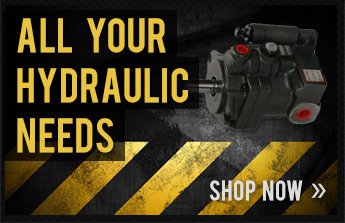 With thousands of hydraulic parts in stock, chances are we have what you are looking for!